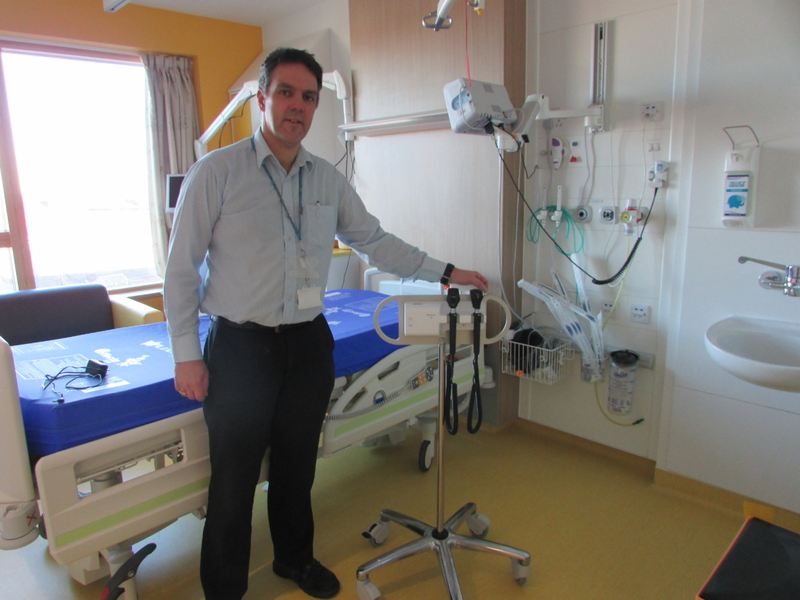 Barry Laithwaite (EBME Manager – Alder Hey) decided the development of the new hospital was a perfect opportunity to assess and trial numerous different brands of diagnostic equipment. With the Machinery audit under way and working with 2 sites this was understandably a very busy and stressful time. Richard Stewart – Area Manager for Albert Waeschle presented the new OPTICLAR Series 2 ‘No Leads’ trolley unit delivering ultimate convenience and maneuverability. The S2 features a unique battery powered diagnostic centre minimizing trip hazards presented by mains power leads. A unit was set up for the consultants to assess and test. On completion of the trial period OPTICLAR was selected as the brand of choice. Albert Waeschle was delighted to deliver/build and install the equipment within a very tight schedule. On installation of the units Barry confirmed “the consultants are very happy with the equipment. One benefit is especially welcomed – the C cell battery option on the rolling stand, as now they do not have to locate power points and suffer trailing leads, they can get the equipment directly in front of the patient. The handles are much more secure so that expensive breakages will be kept to a minimum.